Calling all Dancers & Singers to join Verkhovyna for their 2014 South America Tour! See the poster below for the Dunai audtion date, info on joining the Verkhovyna Choir, and Dance School reigstration dates. July 12, 13, 14 Dunai will be heading to the Soyuzivka Heritage Center for its annual Ukrianian Cultural Festival. Affectionately nicknamed Suzy-Q, the festival has a rich history showcasing Ukrainian culture in the US Northeast. Ukrainian culture in The Dunai dancers cannot wait to perform there and proudly represent our Ensemble, the city of Edmonton and Canada. 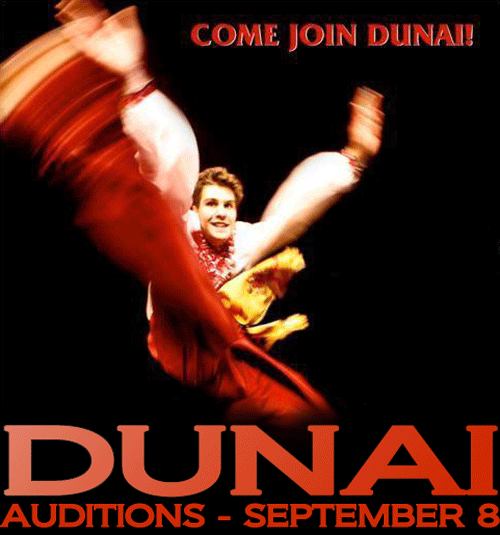 Dunai extends a warm invitation for you to join our rapidly developing dance group! We encourage all dancers to come try out. The Verkhovyna Ukrainian Song and Dance Ensemble is headed to Argentina in the summer of 2014 so do not pass up this fantastic opportunity! We hope to see fresh new faces on June 2nd. Have fun and good luck! 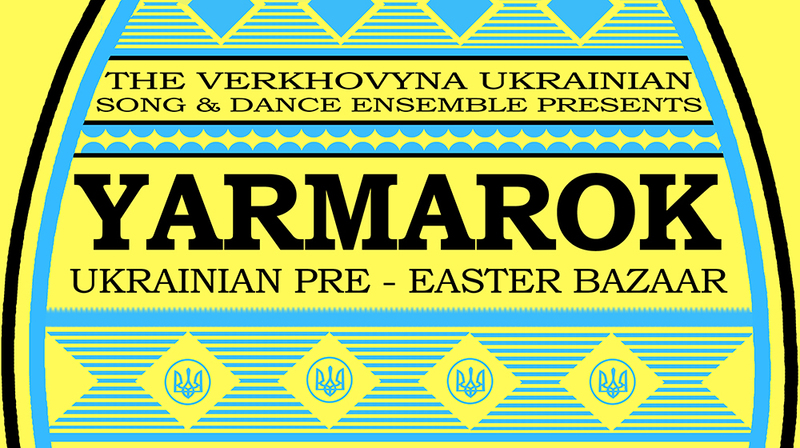 The Verkhovyna Ensemble invites you to attend Yarmarok 2013 - our Ukrainian Pre-Easter Bazaar. On Saturday March 16 & Sunday 17th, join us for a weekend of family fun, including non-stop Ukrainian dancing entertainment, traditional cusisine at Baba's Kitchen, delicious baked goods, children's penny carnival & petting zoo as well as a craft fair and trade show! 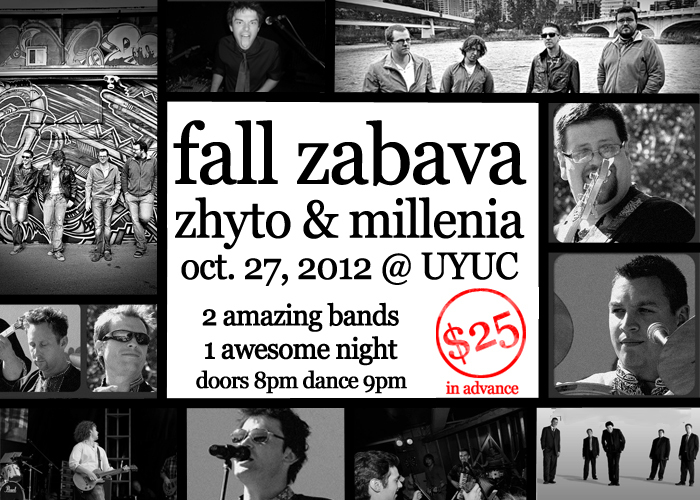 The event is hosted at the Ukrainian Youth Unity Complex, conveniently located at 9615 - 153 Ave in Edmonton, AB. Admission is only $5, and children under 12 are FREE! For full details, please view our official event poster. 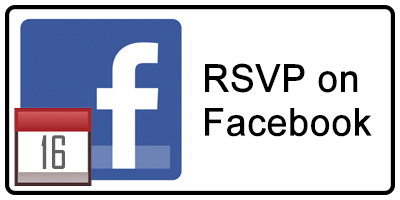 If you need more information, or if you would like to reserve table space for the craft fair & trade show, please contact info@verkhovyna.ca. Thank you to the Canadian First World War Internment Recognition Fund for supporting our project 'The Letter". With their financial assistance, our Ensemble is able to travel to Toronto and perform this vibrant and emotional piece at the Bloor West Village Toronto Ukrainian Festival in recognition of the 120th Anniversary of Ukrainian settlement in Canada! 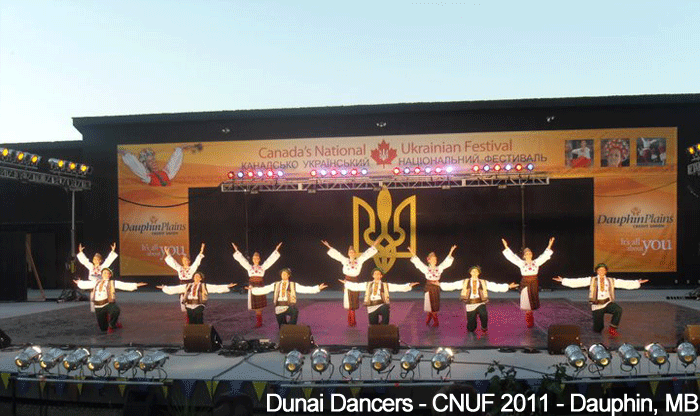 The Dunai Dancers recently had the great oppurtunity to perform at Canada's National Ukrainian Festival in Dauphin, Manitoba. On July 29, 30, and 31st, the ensemble proudly presented five of their dances at Selo Ukraina's 11,000 seat hillside amphitheatre for the 46th edition of the annual festival. The group's spirit shone brightly when a technical difficulty caused their music to malfunction. Dunai completed the dance, with the help of a beat provided by the applause of the audience! Thank you to all of the organizers who made both the festival and trip a reality. Special thanks to our excellent bus driver, Lloyd. We hope to return to Dauphin very soon!